My trip to Nashville last week was necessarily mellow, because I fell sick halfway through. Nevertheless, my mom and I managed to get out, see some historical sites, and have some good eats. I could write a whole other post on the food in Nashville — bonuts from Biscuit Love and fried chicken from Hattie B’s (which has six levels of spicy including “Shut the Cluck Up”) — um, yum. But I really want to share some of the history we learned about and how it was portrayed. There is a certain amount of rewriting of history in the South, a romanticizing of the antebellum era, giving the period a soft glow that blurs out the uglier aspects of slavery. Traveling to the South, I wondered how much of this I would see while visiting historical museums. Driving on a road trip to see the countryside, my mom and I accidentally discovered the Lotz House in Franklin. We were just exploring and didn’t have any destination in mind while we were driving, but the sign indicating that the house was a Civil War museum called to us. Since we were there on a weekday, we were were the only two people on the tour. Our guide explained how the house was a center point for an epic battle in which thousands of Northern and Confederate soldiers died. The Lotz family, including the children, were present during the battle and hid inside a brick basement while events raged outside. Johann Albert Lotz was a master woodworker and he used his home as a showpiece for his profession, displaying elaborate mantles and carved banisters. Following the battle, his family returned to their home, which had been battered and badly damaged, a home full of bullet and cannon holes. The evidence of his quick repairs to make the house livable again are still evident in the home. There are still scars in the brickwork, still bloodstains in the wood floors. What was interesting about the Lotz house was that it centered around an everyday sort of family. They were not rich. They were just craftsmen trying to get by and survive impossible circumstances. The Hermitage is the home-turned-museum of President Andrew Jackson. The primary focus of the museum is the life of Jackson, his role as a general and as a president, and the legacy he and his family left behind. The tour of the manor house was interesting, although it also felt brief giving a perfunctory view of the household and how it operated (though this is likely because of the large number of tours and tourists coming through there everyday). 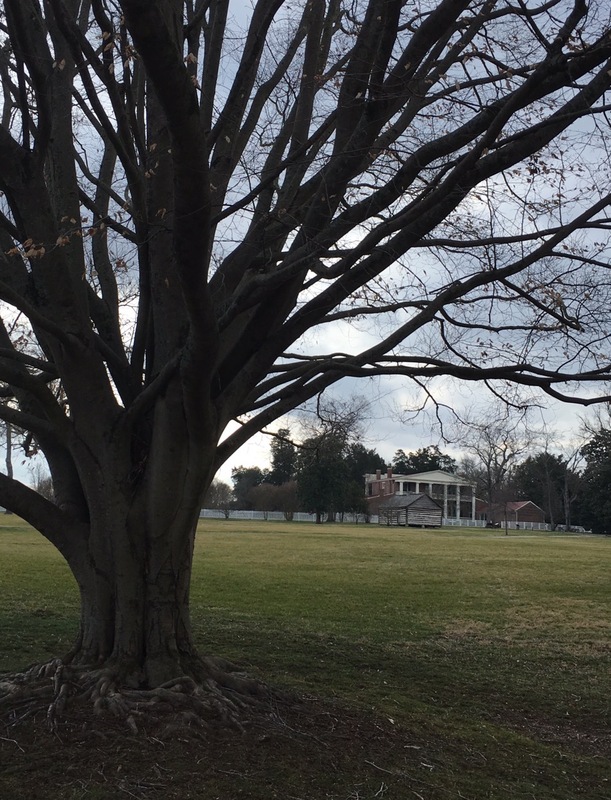 Out behind the Hermitage, the plantation home of President Andrew Jackson. The Hermitage was a working plantation, which was made profitable by slavery. It was no surprise to me that, in being a museum dedicated to a former president of the United States, the museum glossed over much regarding the lives of the slaves. Most of the information stated or hinted at the idea of Jackson considered to have been a “benevolent” slave owner, who treated the slaves as his “black family.” Even the former slave buildings say little, explaining only that little is known about the lives of the slaves who lived there. Anything more than that is mostly related is subtle hints and insinuations, at best. However, there was an interesting display about the life of Alfred Jackson, who was born as a slave at the Hermitage to the cook, Betty. Following the end of the Civil War, Alfred continued to work at the Hermitage as a caretaker. 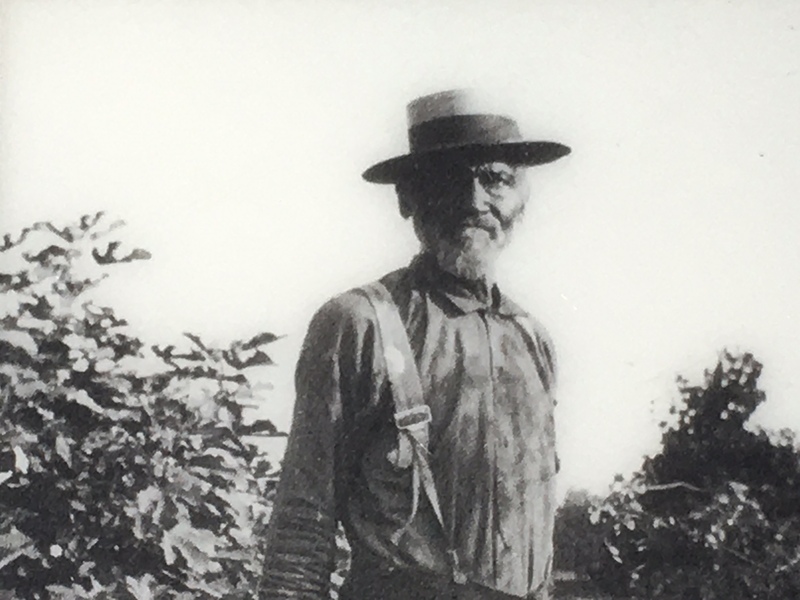 When the plantation was converted into a museum in 1889, he became one of the first tour guides. Alfred Jackson remained at the Hermitage after emancipation and was the first tour guide when the plantation was converted to a museum. We visited the Belle Meade plantation in a rush at the end of the day after returning of our tour of Andrew Jackson’s Hermitage. The Belle Meade plantation includes a manor house tour (which we did not take), a beautiful stables and carriage house, a large collection of antique carriages and sleds, and outbuildings. A winery has also started up on the site, with wine tastings available as part of the tour. 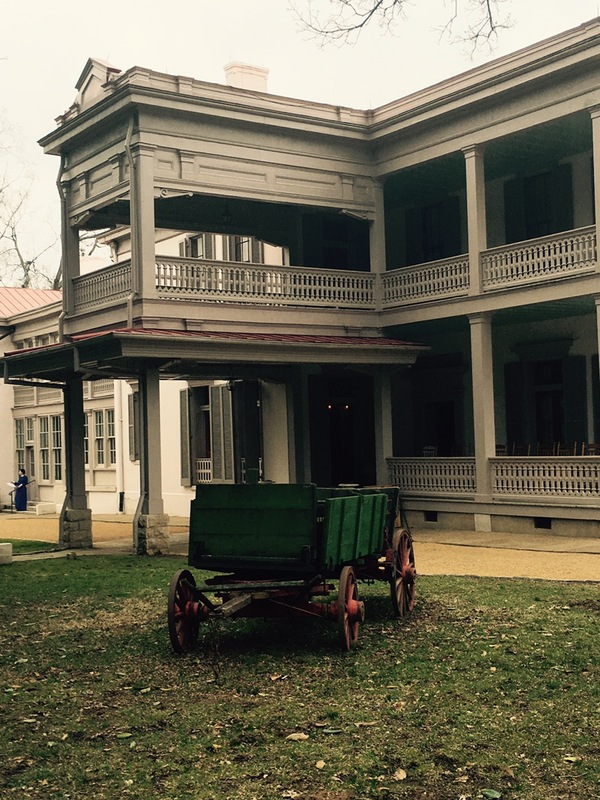 The Manor House of the Belle Meade plantation with an old cart sitting out back. The collection of horse-drawn carriages was wonderful (although our experience of it was frustrated by the wedding that was being set up for the night). All of the carriages are beautiful and well preserved, and I enjoyed learning about the various uses of each one. 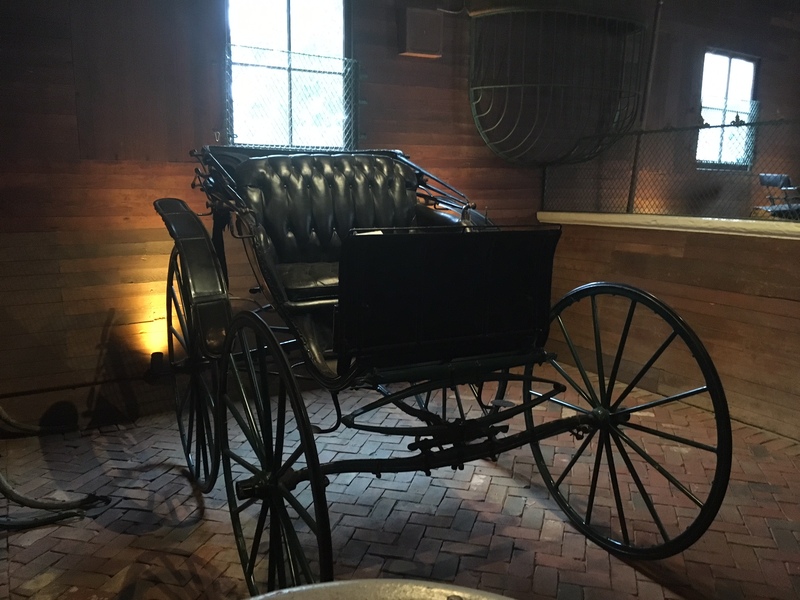 One of the many carriages on display at the Belle Meade plantation. The plantation was known for its horse breeding. According to our Uber driver, all of the horses that have participated in the Kentucky Derby can trace their lineage back to the Belle Meade plantation. I have no idea if that’s true, but it’s fascinating either way. The dairy house at the Belle Meade plantation. 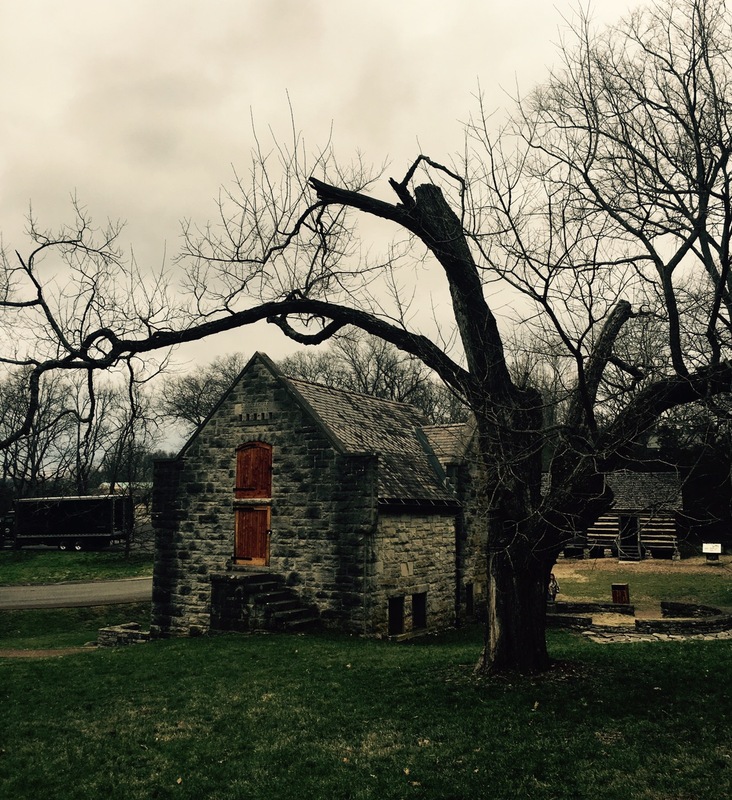 Behind it is a replica of the slave quarters, which would have originally be placed further from the manor house. The thing I appreciate the most about Belle Meade, however, was how it handled the history of slavery. The property includes a reconstruction of the slave quarters, which is used exclusively to explore the lives of the slaves who once lived on the plantation with video recordings forming an oral history of black lives and excavated artifacts revealing fragments of how the slaves lived found in and around the Belle Meade site. After seeing how the Hermitage glossed over this important part of history, it was so refreshing to see a historical site making efforts to share and discuss challenging topics. The three to five year project is ongoing and hopefully, they will put together an excellent historical resource as they work to tell more of the whole story.